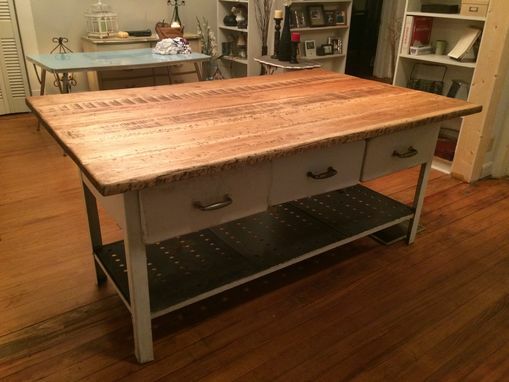 For this project we were able to source an industrial steel kitchen work table with sliding drawers. 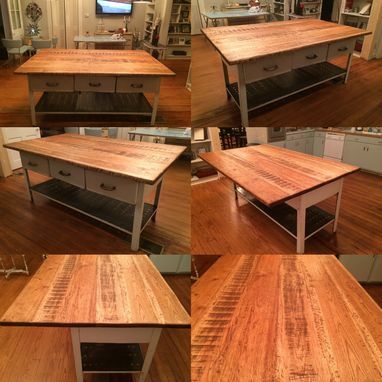 Our client wanted the top replaced with a hardwood, rustic-looking wood. 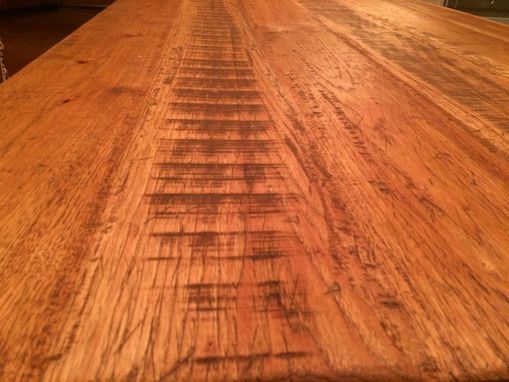 We sourced 2" thick FSC certified Hickory lumber which we hand distressed and color matched. The top was then mounted to industrial base. 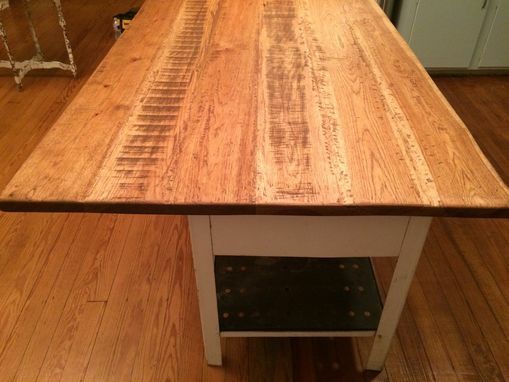 A 16" overhang was created to allow for bar stools at one end. We can easily reproduce the look of this top in nearly any dimension you would like. If you want us to locate an industrial base we can do that as well but it will take some time as they are difficult to find. 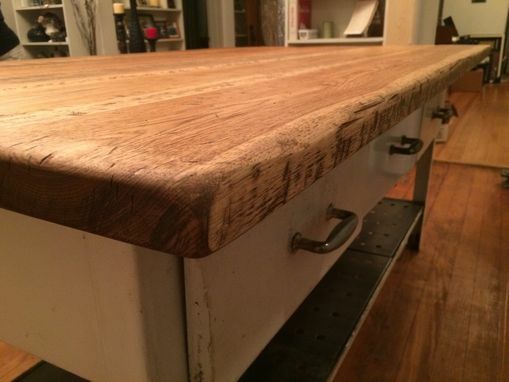 The pricing for this example is for a custom wide plank Hickory countertop / tabletop 3ft. W x 6ft. L. All custom countertop / tabletop pricing begins at $50 per square foot.